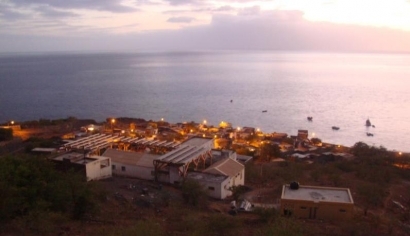 Monte Trigo is a remote 60-family village on the island of Santo Antão, Cape Verde. On February 9, 2012, this community received its first 24 hours of electricity, thanks to off-grid solar photovoltaics. The Monte Trigo solar project – called a Multi-user Solar micro-Grid (MSG)—consists of a 27.3 kW photovoltaic generator, a storage battery, an inverter, equipment to monitor and control electricity, and an 800 meter long low voltage distribution grid. The system is backed up by a diesel generator. The solar panels are mounted on a wooden pergola that provides the added value of shade to the local schoolyard. Primarily three companies were involved with the project - Trama TecnoAmbiental, ATERSA and Studer Innotec. The endeavor was financed under the ACP-EU Energy Facility program and lead by local private water company “Aguas de Porta Preta” (APP), in partnership with the local municipality (“Câmara Municipal de Porto Novo”, CMPN), among others. The CMPN and APP are directly responsible for the service management and operation and maintenance (O&M) activities of the solar facility. However, the O&M also involves local users and trained users who are responsible for general daily duties. One of the biggest challenges of the project was making sure local people understand the technology and how to properly manage it. To ensure community buy in, the facilities designers first discussed with the villagers issues such as their energy needs and willingness to pay for it. Another key to the community successfully adopting their new power facility was capping each electricity consumer’s daily available electricity. This cap is called the Energy Daily Allowance (EDA), and it prevents overuse that could lead to blackouts or unexpected increased costs. The EDA is flexible, according to the amount of sunshine on a given day. 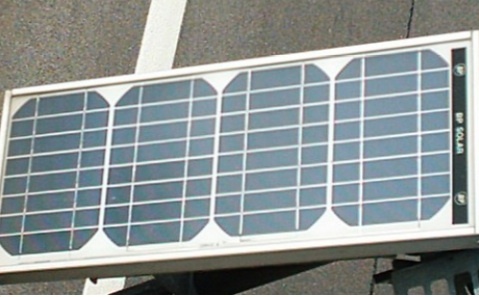 On very sunny days, people are encouraged to use the surplus generation at no cost. People can sign up for different sized EDAs depending on their individual need and budget. A special meter called an electricity dispenser is used to implement the EDA. It allows consumers to see their available energy allowance and whether conditions dictate that it is best to add or stop using electricity at any given time. The EDA pays for the operations and management of the solar project and pays back some of the capital costs. Also helping to guarantee the Monte Trigo solar system’s maximum efficiency and durability, back-up diesel fuel consumption and components like batteries and inverters operate within their specified range. The solar power is changing the way of life for the villagers, who are now able to use tools and appliances previously unavailable to them. With new solar powered ice boxes, villagers no longer have to make regular 10-hour roundtrips by boat to buy ice, in order to preserve the fish on which Monte Trigo’s economy depends.The project additionally feeds electricity to a school, a church, a kindergarten, a health center, a satellite DVB TV system, three general stores and 22 streetlights.